Constructing a building is expensive. As such, it's fairly rare that a client will take many risks, so if presented with the opportunity you really have to make the most of it. There are probably a lot of great architects out there that none of us know the names of because they swung and missed at their first big opportunity - if they ever got it. This guy is not one of them. 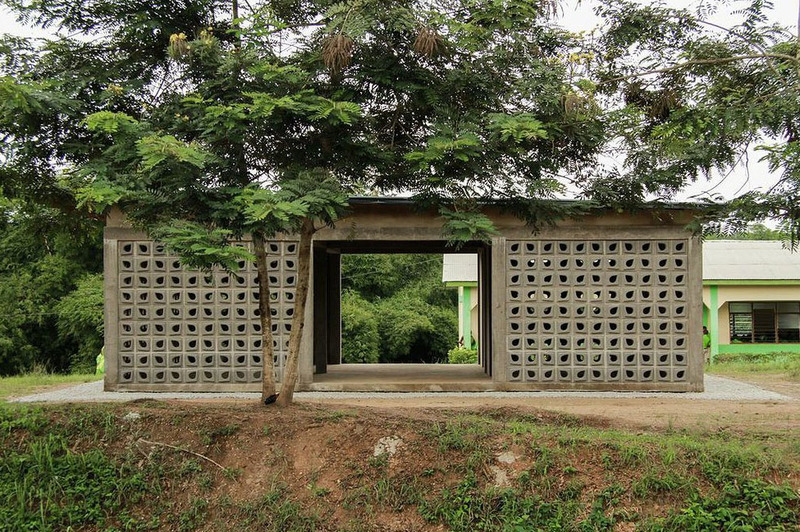 A former professor of mine from IIT, Frank Flury, held a studio in Ghana over the summer and built this library with student labor and hand tools. What's going on in Sub-Saharan Africa?